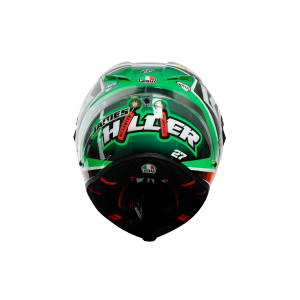 James Hillier, riding for the JG Speedfit Kawasaki team, achieved two podium finishes at this years Isle of Man TT – a third place in the RST Superbike TT and another third in race two of the Supersport TT, despite challenging points throughout practice and race week. 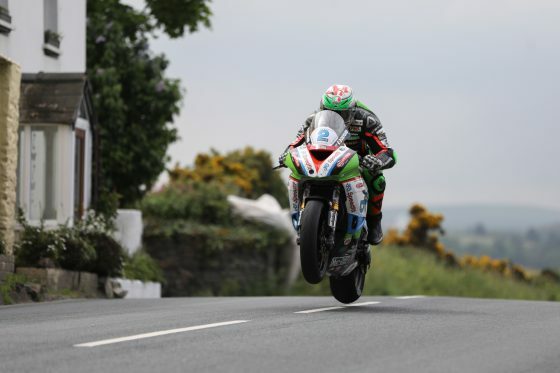 The Isle of Man Tourist Trophy is one of the most infamous road races on the calendar – a 37.73 mile circuit with 265 corners and speeds of up to 190mph. 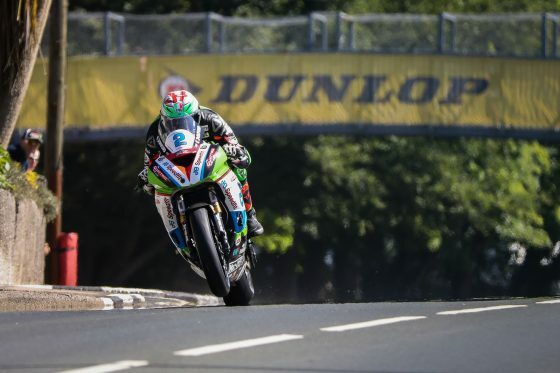 The fastest riders will lap the course in under 17 minutes with average speeds of around 134mph. It’s a dangerous event which requires the highest quality protection. 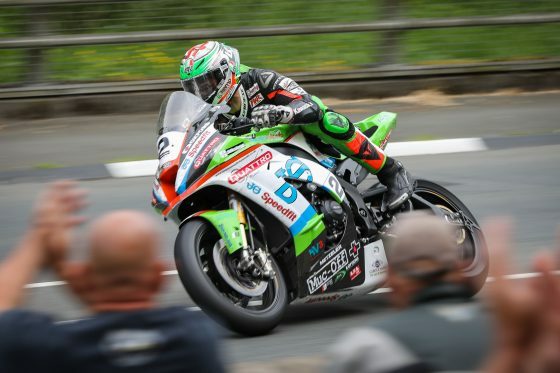 James Hillier is no stranger to the TT: beginning his career at the mountain course in 2008, he has achieved 11 podiums and a first place finish in the 2013 lightweight TT. He knows the risks too, after a huge moment at one of the most dangerous corners on the circuit, ‘Ballagarey’, had him sideways at 150mph. 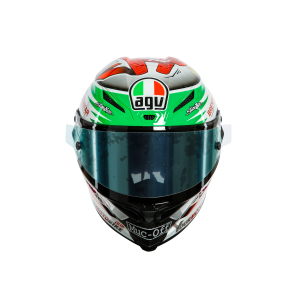 He chooses AGV and Dainese for this very reason: for the very best in protective headwear and clothing. 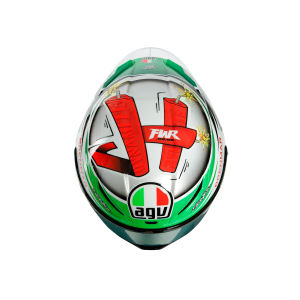 “It’s quite a privilege for me to represent a brand like AGV and wear their iconic logo – they choose me to represent them and I do that to the best of my ability. 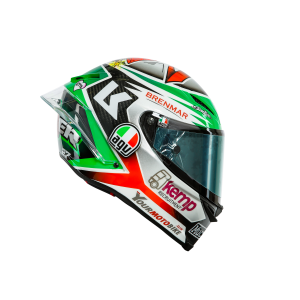 Their products are proven with a great track record used by the best riders in the world. There is certainly no doubt in my mind whether to use them or not. 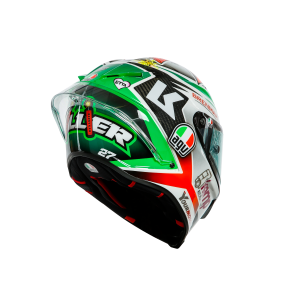 The Pista GP R from AGV is the ultimate helmet for the track. A shell made from 100% carbon is shaped to reduce interference with the racing suit and paired with the wind tunnel tested “biplano” spoiler, it has excellent aerodynamic performance and stability at high speed. 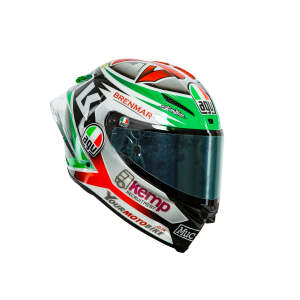 An included hydration system and MotoGP derived metal air vents add to the helmets quality touches, whilst interior stitching avoids sensitive areas for supreme comfort. James completes his choice of race wear with the riders D-Air race suit from Dainese. The D-Air provides riders with Dainese’s most advanced protection yet, with suits that integrate inflatable zones controlled by computers that monitor a bikers orientation. These zones inflate in the event of a fall to soften impacts to the body and reduce injury, but remain deflated during riding to maintain comfort and manoeuvrability.